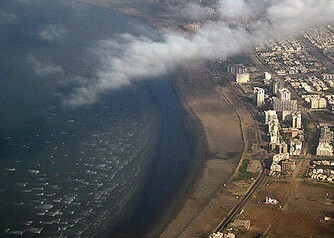 Karachi from the eye of a bird! Pakistan has been under the grip of a severe cold wave that has shown its strength in Balochistan and Sindh but it is the Sindh province that has been shivering under the chilly winds coming from north Asian states but it is true that February 7 was the coldest day of the month in the metropolis after 30 years, the new record was set yesterday that was of 21.8°C (maximum temperature). During the whole day the temperature found it hard to rise beyond 21.8°C as fast winds along with low humidity made Karachiites feel as if they were spending a day in Balochistan or Punjab. The lowest temperature that was observed during the night of February 7 was only 6°C, making Tuesday a very chilly day in Karachi. What caused the record to breaking in Karachi? The change in the pattern of wind is blamed for such activity in Karachi as on February 7 the dry winds continued to blow from North-westerly direction. The winds coming from central Asia were started blowing in the city from February 5 morning and before advancing towards eastern areas of the country. Normally the winds reach the speed of 21 km/h in the city during winter season but yesterday’s winds were different, the winds started to pick up speed at about 3:00 pm PKT and gained full peak at about 6:00 pm PKT till 7:30 pm PKT, the winds were blowing at 36 km/h to 40 km/h. Apart from all the winds, humidity was also very low, at early morning it was 50% but as the day progressed further the humidity dropped to just 3.5 %. All these factors led to a drop in temperature both maximum and minimum. The record that was beaten! February 27, 1988 is now considered the second coldest day of February in the metropolis as on that day the maximum temperature was 22.2°C. The highest/maximum temperature was 36.1 °C on February 25, 1996 while the lowest temperature is 3.3 °C on February 11, 1950 that seems to be unbreakable up till now. More cold nights in Karachi? Pakistan Weather Portal (PWP) on February 4 had warned that Europe-like cold wave would reach the country. The current cold wave is likely to remain on peak till the night of February 8 during this period the minimum temperature would range between 7 °C – 5°C, this cold wave will remain active till February 10 night and after that the minimum temperature would start to rise gradually. Drink a lot of water and wear warm clothes to stay healthy during the winter season as this cold wave is likely to stay for some time! ← Europe enters the ‘Ice Age’? Assalam o Alaikum! Babar Bhai! I have a question, how do we measure Atmospheric temperature, I mean that 21.8 Centigrade in Karachi, how do we record that, which device is used, its price? and where can I get that? To measure temperature, we use Maximum-Minimum thermometers (not those). Electronic Maximum-Minimum Temperature Sensor (MMTS) is an electronic temperature sensor that has largely replaced liquid-in-glass thermometers. It is housed in a white case to reflect sunlight and has vents all around so that the air flows freely over the temperature sensor inside. The idea is to measure the temperature in the shade, away from any direct effect of the sun.They range from 8,000 to 10,000 or more depending upon their features. But I do not where you could get this in Multan. I have no idea, although there are such instruments for students. You could try to find such things on Google. Hi, Babar, How r you, bro i just want to ask is there a possibility of another cold wave striking the sidh balochistan region in coming weeks, Any forecasts ???. Can we say that we are in the phase of climate change, If yes do we need to prepare ourself for much harsher weather in future. Please let me know about your opinion on this. I would publish Pak Weather Update in which that thing will be discussed. As far as climate change is concerned, yes it is happening across the world and we should prepare for it as in western countries, plans are being made. We have seen the floods of 2010 and 2011 and then these freezing temperature in Sindh is the recent example that climate has been disturbed in Pakistan as rare events are happening every year which is rare indeed. Hi Babar Thanks for your reply, i think some freezy days are again coming in a week or so. And some models are forecasting some rain in karachi too, so we can say we will see cold feb here as temp are expected to reach as low as 6 degrees as shown on different weather sites including bbc. What do you say???. We have not seen heavy rain in karachi since the end of monsoon is there a possibility of some heavy rain shower in karachi???. Waiting for you weather update. 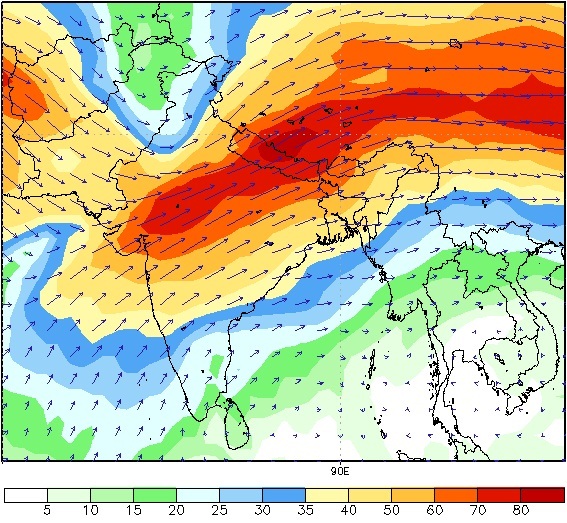 Yes, rainfall is expected but the cold wave would be weaker not like the previous one. Heavy rainfall is not expected, heavy rainfall is very rare in Karachi in winters.